A very warm weekend is in progress, but the crystal ball has a good chance of strong to severe storms in it for Tuesday. We break down the weather for this weekend and an early look at what we might expect on Tuesday afternoon in today's video blog shown below. 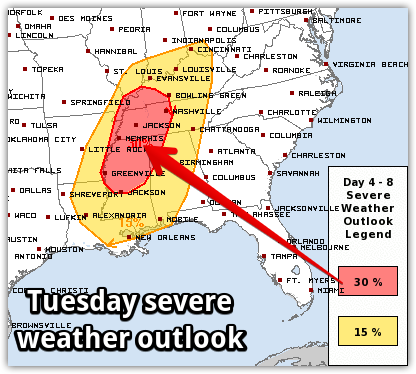 We are monitoring the potential for severe weather on Tuesday, mainly in the afternoon Currently, there is a 30% risk of severe weather within 25 miles of Memphis. Graphic courtesy SPC. 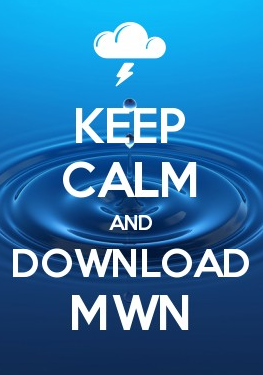 Monitor our social channels listed below, this blog, and our website and mobile apps for the latest updates and dust off the severe weather action plan you had ready back on December 23rd when severe weather was expected.